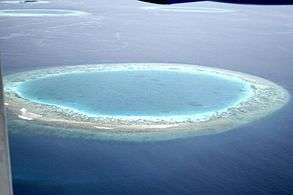 Fringing reefs are located near shore in the tropics in many areas and are the most common reef type. Coral reefs are found in the tropics in which the water is between 18 and 30 °C (64 and 86 °F). Destructive fishing practices: These include cyanide fishing, blast or dynamite fishing, bottom trawling, and muro-ami (banging on the reef with sticks). Bottom-trawling is one of the greatest threats to cold-water coral reefs. Over-fishing: This affects the ecological balance of coral reef communities, warping the food chain and causing effects far beyond the directly overfished population. Careless tourism: Careless boating, diving, snorkeling, and fishing happens around the world, with people touching reefs, stirring up sediment, collecting coral, and dropping anchors on reefs. 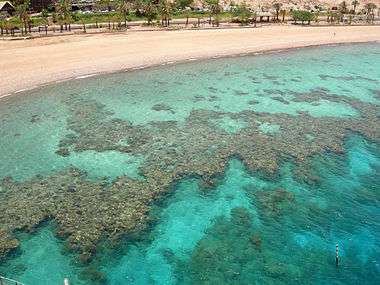 Some tourist resorts and infrastructure have been built directly on top of reefs, and some resorts empty their sewage or other wastes directly into water surrounding coral reefs. Marine pollution: Urban and industrial waste, sewage, agrochemicals, and oil pollution are poisoning reefs. These toxins are dumped directly into the ocean or carried by river systems from sources upstream. Some pollutants, such as sewage and runoff from farming, increase the level of nitrogen in seawater, causing an overgrowth of algae, which 'smothers' reefs by cutting off their sunlight. Sedimentation: Erosion caused by construction (both along coasts and inland), mining, logging, and farming is leading to increased sediment in rivers. This ends up in the ocean, where it can 'smother' corals by depriving them of the light needed to survive. The destruction of mangrove forests, which normally trap large amounts of sediment, is exacerbating the problem. Coral mining: Live coral is removed from reefs for use as bricks, road-fill, or cement for new buildings. Corals are also sold as souvenirs to tourists and to exporters who don't know or don't care about the longer term damage done, and harvested for the live rock trade. Climate change: Corals cannot survive if the water temperature is too high. Global warming has already led to increased levels of coral bleaching, and this is predicted to increase in frequency and severity in the coming decades. Such bleaching events may be the final nail in the coffin for already stressed coral reefs and reef ecosystems. Bloodling also known as brooding corals have higher growth and reproduction rates than others. The reef crest's most common species is Porites porites, a type of stony coral, although there are also significant areas covered in flesh-like algae. 1 2 3 4 5 6 Kennedy, D.M. and Woodroffe, C.D. 2002.Fringing reef growth and morphology: a review. Earth-Science Reviews. 57:255-277. ↑ Australian Museum. 2004. geoscience: the Earth, Great Barrier Reef. http://www.amonline.net.au/geoscience/earth/barrier_reef.htm Accessed on March 30, 2008. ↑ McClanahan, T. R.; Young, T. P. (1996). East African Ecosystems and Their Conservation. New York: Oxford University Press. p. 70. ISBN 978-0-19-510817-0. ↑ Albert, U., Udy, J., Baines, G. and McDougall, D. 2007. Dramatic tectonic uplift of fringing reefs on Ranongga Is., Solomon Islands. Coral Reefs 26:983.